The Department for Culture, Media and Sport (DCMS) today named Chris Townsend as the new chief executive of its BDUK project. The former commercial director for the London Organising Committee of the Olympic and Paralympic Games 2012 (LOCOG) has worked in a variety of sectors in his career, from being a sales manager at EMI records through to becoming CIO at Transport for London (TfL). He also has a more relevant background working for ISPs, having been the marketing director at BSkyB and director of interactive services at TeleWest. 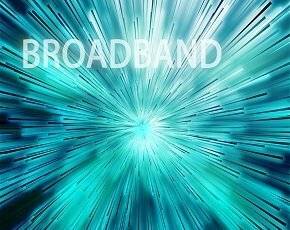 Townsend now be in charge of the scheme for rolling out superfast broadband to rural areas, funded in part by central government and local councils, alongside private investment from the single provider involved in the tendering process, BT. “I look forward to starting my new role as chief executive of BDUK and building on the good work being done to get superfast broadband to people all over the UK." The appointment came at the same time more details were revealed about the £10m competitive fund for the final 5% of the country’s hardest to reach areas. First announced in December, the money will go towards testing alternative solutions to fibre installation for getting superfast connectivity to the most rural locations across the UK. The fund will open for applications on 17 March – although companies are able to register their interest from today here – and the DCMS is asking for local authorities to “offer support to these pilot projects.” A spokeswoman from the department said this didn't mean match or additional funding, but instead they were looking for LAs to provide suitable areas for market testing and to provide logistical support.